As an ophthalmologist and corneal specialist, I specialize in medical and surgical care for corneal disease including keratoconus, Fuch’s corneal dystrophies, corneal transplants, corneal cross-linking and cataract surgeries. I find my work very meaningful and love restoring people’s sight. I also have extensive training in LASIK surgery and the treatment of cataracts, dry eye and pterygium. 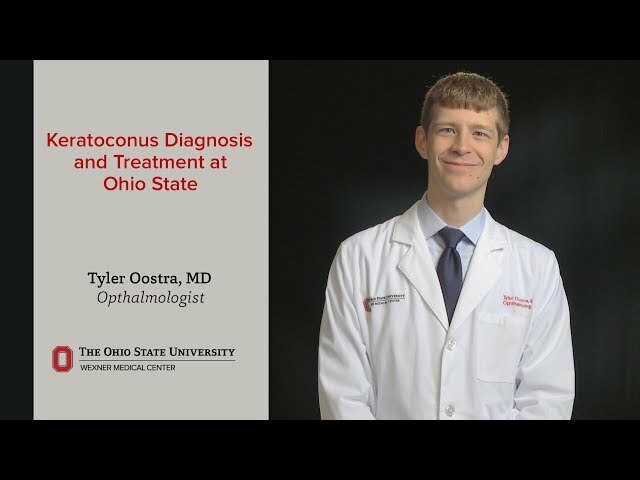 My research interests include keratoconus, Salzmann’s nodular degeneration, infectious keratitis and conjunctival flap surgery. My favorite part about working at Ohio State is the variety of patients and conditions that I have the opportunity to treat. I treat routine conditions such as cataracts, as well as complex conditions like corneal transplantation. My colleagues and I work together as a team to care for patients with some of the most challenging eye conditions. When I’m not working I enjoy spending time with my wife and extended family, and rooting for the Buckeyes, of course! He seemed very good. He answered my questions and was nice. I've seen him 2-3 times now and he's chronically late and when he finally does come in it's for a few minutes at most, hasn't done a great job of explaining issues, doesn't seem to show a ton of concern. First time I had seen him after being a patient of Dr. Thomas Mauger for 29 years. I think I will like him. All good - Very concerned and kind. Realistically I have been very fortunate in receiving the best service of all the procedures. Would recommend Dr. Oostra to anyone great eye dr.
As of 12/20/2018, Dr. Oostra has reported no relationships with companies or entities.